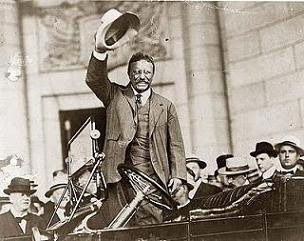 Teddy’s words are as inspiring today as they were a century ago, but I look at them in a different way. I look at them as a call to action for all those armchair scientists out there, reading about science, attending lectures, and maybe evening dreaming about making a discovery one day. Why not actually climb into the arena? Why not decide to do some real science? Get your face marred with dust. As I’ve conveyed over and over again here on the SLB, you have many paths at your disposal to make a real contribution (yes, small contributions are worthwhile too). It could be something simple like participating in Galaxy Zoo to classify galaxies, or hunt for supernovae. You could turn to amateur astronomy and locate comets, celestial events (recall the amateur who first noticed the stupendous Jupiter impact last year), or even discover a new exoplanet. At the very least you could run a BOINC screen saver and play a role in a global science computation project. You have a lot of options to “feel the triumph of high achievement.” Do real science now! Hello all- I'd like to add a reference that I just learned about that complements this post about participating in science. Check out: http://scienceforcitizens.net/ which is a website where science enthusiasts can find actual science projects to join. So please find a project in your area!